Online retailer Banjos Direct becomes market leading specialist banjo provider less than 4 months after launch. 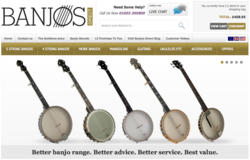 Less than four months after launch, new online banjo retailer Banjos Direct has become the UK market leader in its fast growing specialist sector. Musical instrument manufacturers on both side of the Atlantic are reporting increasing demand for the folk instrument which is enjoying a renaissance in popular music, and are expanding their ranges of all varieties of the instrument. When Simon Middleton told people he wanted to retire from brand consultancy and open a banjo retail business, many thought he had lost his sense of perspective. “For a start we were in a recession, and for another thing I was firmly identified as a brand consultant, not a music retail business owner,” Middleton explains. But the brand advisor and author of Brand New You, who is also frontman of folk-band The Proposition, was confident that his specialist retail concept could not only succeed, but grow fast. “It was the fact that people thought of banjos as way too specialist and ‘niche’ that actually made me confident that we could make a positive impact,” says Middleton. Industry information shows consumer demand for the historic instrument to be higher than it has been since the 1960s. All the leading manufacturers, including American brands GoldTone and the hand-made Nechville, are reporting increased sales. British-based brands such as Barnes & Mullins, Tanglewood, and Pilgrim are also introducing new ranges to meet the demand. Confident that his passion for the product and personal service could turn a niche business into a major success, Middleton successfully secured private equity funding to launch the business. Middleton attributes the increase in demand to a ‘tipping point’ phenomenon on both sides of the Atlantic. 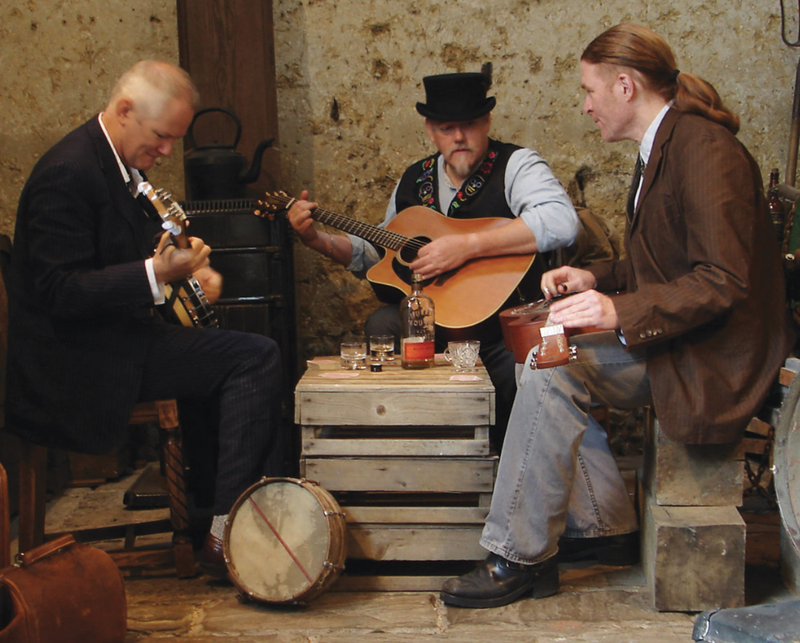 “There’s been a real revival in interest in both Bluegrass and old time music in the USA, driven by high profile artists like Steve Martin, as well as new generation of folk performers like The Avett Brothers and the Carolina Chocolate Drops who have no preconceptions about what can be achieved with the instrument,” says Middleton. The launch of Banjos Direct was well timed to ride the new wave of interest in the instrument, but it is the brand’s particular combination of personal service and e-commerce which has allowed the business to grow so fast. “Most e-commerce businesses are faceless and impersonal. But our customers want to engage with a real person who understands and loves the product. They don’t want a tele-sales person either. They want to talk to someone who knows about, and cares about the instrument,” says Middleton. The business is based in Norwich, Norfolk, UK, but serves customers all over the world.